We continue to lead the industry by investing in, and utilizing, the most advanced technology available, much of it not found anywhere else in Northwest Florida. High Definition eye exams, advanced diagnostic equipment for detecting and monitoring eye disease, and utilizing the most advanced LASIK technology available are just a few examples of what sets us apart. 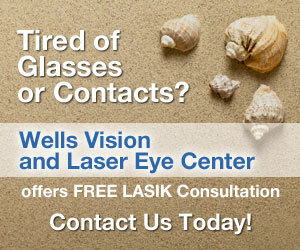 Our optical is home to the largest selection of glasses and sunglasses in Northwest Florida. From the top fashion brands that are a must have, to practical budget friendly lines, we have it all. Most lenses are made in our advanced optical lab so you have your new glasses as fast as possible.